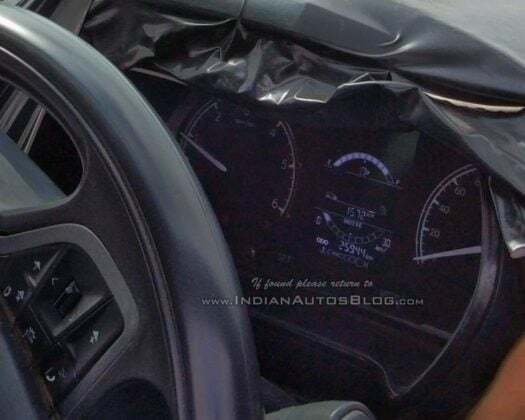 Upcoming Tata Harrier SUV has been spied again with LED headlamps and a floating touchscreen infotainment system. The SUV is going to launch in early 2019. The expected price of the Harrier is starting from Rs 14 Lakhs up to Rs 20 Lakhs. 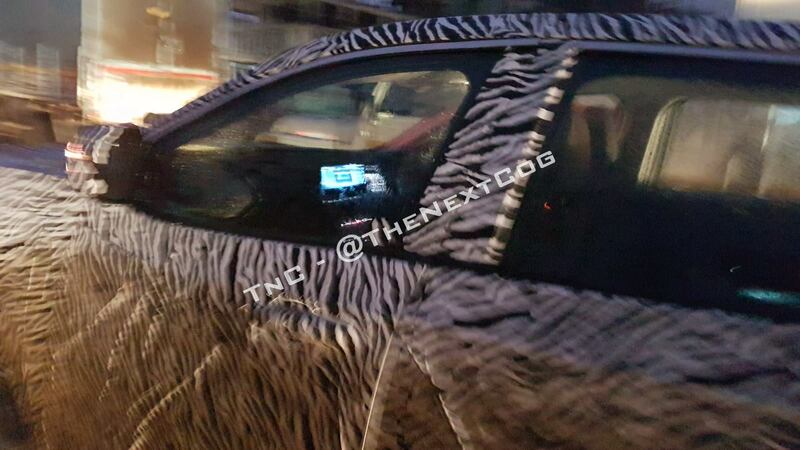 Yet another spying of the upcoming Tata Harrier SUV. This time, it has been spotted testing in Pune, but we get fresh details about the SUV. It has been spotted in Pune couple of times testing with heavy camouflage. Now, we get to see that it has a floating touchscreen infotainment system and all LED headlamps. A similar looking floating touchscreen infotainment system comes in Nexon but on the Harrier, it is a lot bigger. Also, we can see a fresh set of LED Headlamps. The Hexa and Nexon get projector headlamps and LED DRLs. So, by this, we can definitely confirm that the Tata Harrier will be priced more than the Hexa. The infotainment system will be sourced by Harman Kardon with Android Auto and Apple Car Play. The earlier set of images have shown that the SUV gets a MID with an analogue speedometer. Also, the steering mounted controls, centre console, and the gear were seen. It was also spotted testing on Kari Motor Speedway in Coimbatore. It was testing for fine tuning of the suspension and steering, hinting its sporty credentials. The upcoming Tata Harrier SUV will come with a Fiat-sourced 2.0 Litre Diesel engine that produces around 198 BHP of power and 350 Nm of torque. Harrier will come mated to a 6-speed MT along with a 9-speed Automatic Gearbox, sourced from Hyundai. The mileage estimated on the Harrier is around 12 KMPL in the city and 15 KMPL on the highway. It is rumoured to get a 2.0 Litre petrol engine too, sometime after its launch. Another set of reports state that in 2020-21, the Harrier might also get an Electric variant in its range. We do not know much about this development, but there might be a possibility. Features onboard would include Electric Sunroof, Rear AC Vents, LED Projector headlamps with LED DRLs, Front, and rear armrests, Touch infotainment system with Apple CarPlay and Android Auto, Electrically adjustable seats, Hands-Free tailgate, Cooled Glove Box, Heated passenger seats and Different Drive modes. Safety features will include 6-airbags, ESC with Vehicle Stability Management, ABS with EBD, Hill Start and Descent Assist, Front and Rear Parking sensor with a rear parking camera, Traction Control and Brake Assist. Tata Motors has already said that the Harrier will launch in the early months of 2019. We expect it to be priced starting from around Rs 14 Lakhs up to Rs 20 Lakhs easily. With this price range, it will take on the likes of Mahindra XUV 500 and Jeep Compass, mainly. 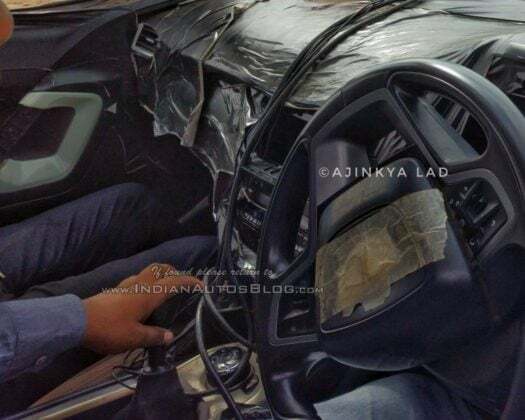 Check out this space for more updates and spy photos of the upcoming Tata Harrier SUV.